When cooking for two, side dishes don’t always come into play. Around our house, I would make four servings of something. We eat it for dinner, and then our lunch the next day. With a bigger family, side dishes are becoming essential. The other night I made an entree with two bonus sides and the whole meal felt more home-cooked, intentional, and nourishing. Having a couple side dishes takes it from just-get-enough-nutrients-down-my-gullet-to-sustain-me to we’re-family-here-communing-and-eating-a-meal. For that reason I say, long live sides! Preheat oven to 400 degrees. 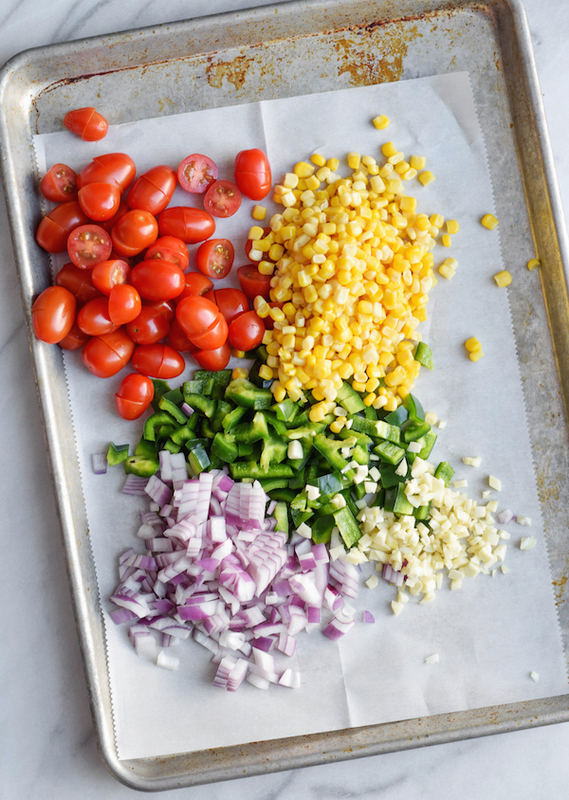 Toss grape tomatoes, poblano pepper, corn, and garlic with 1 tablespoon olive oil, 1/4 teaspoon salt and 1/2 teaspoon pepper. Arrange vegetables on a lined baking sheet and roast for 20 minutes, tossing vegetables halfway. I like to then broil for a minute or two (watch closely!) to have a nice little char on the veggies. Whisk together 2 tablespoons olive oil, red wine vinegar, honey, 1/2 teaspoon salt, and 1/4 teaspoon red pepper. 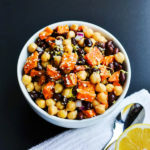 Toss vegetables with chickpeas and dressing. Top with feta and basil. Preheat oven to 400 degrees. 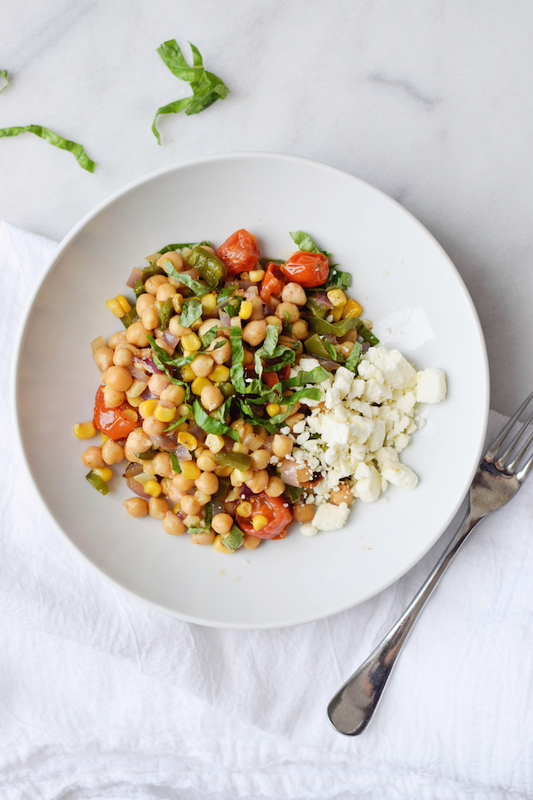 Toss grape tomatoes, poblano pepper, corn, and garlic with 1 tablespoon olive oil, ¼ teaspoon salt and ½ teaspoon pepper. Whisk together 2 tablespoons olive oil, red wine vinegar, honey, ½ teaspoon salt, and ¼ teaspoon red pepper. 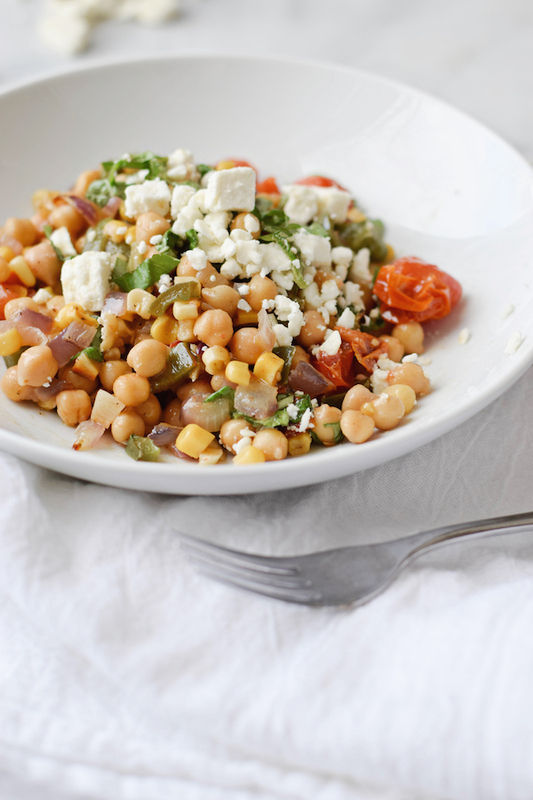 Toss vegetables with chickpeas and dressing. Top with feta and basil. 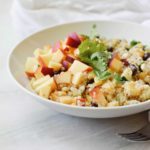 Can you list the number of calories in each salad. How long do you think this dish would stay fresh? 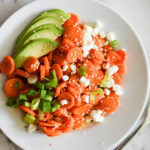 Would the dressing make the veggies soggy after a day or so? 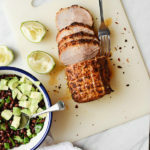 I’m trying to pre-make meals for the week, and this recipe looks delish!